Photo by Jonathan Perez on Unsplash. Medicare Part D (and other Medicare plans): Open enrollment started on October 15 and runs until Dec. 7. Medicare says that very few people change their plans even if they will save money. I didn’t change my Part D plan (Humana-Walmart) last year and it cost me over $600. Why? Humana moved my generics into higher tiers so I had to pay a large deductible and they raised the co-pays and premium. This year I used Medicare’s plan compare online tool (LINK) and ended up moving to EnvisionRX plus because it offered much better terms and a $12.40 monthly premium. If I need really expensive medications this year, I can switch to a 5-star plan at ANY time during the year if it offers a better price share than Envision. The VA’s dental plan enrollment begins on November 15th. Metlife has not released their new plans details which is absurd (LINK) at this late date. The 2018 Open Enrollment Period runs from November 1 to December 15, 2017. Our patriotic private insurance companies are showing their care and concern for--their profits only. The no-cost flu shot program starts August 15, 2017 and runs through March 31, 2018. Please note vaccine supply may be limited after March 1, 2018. A time-saver! ; call first to make sure their employees are aware of the program. Walgreen’s voucher and instructions (LINK to PDF). If non-driving vets can’t easily get to a VA clinic, this retail program will help their friends get the veteran a flu shot easily. Any more medi-dates we can be reminded of? 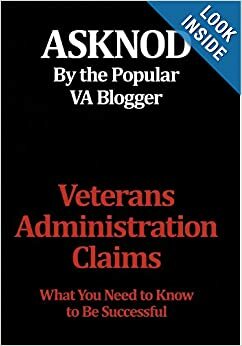 This entry was posted in All about Veterans, Food for thought, General Messages, Guest authors, non-va care, Uncategorized and tagged asknod.org, flu shots. Bookmark the permalink. 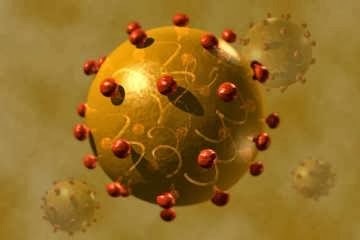 I get every vaccine I can get including shingles. My grandmother had it and my brother had it and he was sick as a dog. I get both P-newmonia shots as well since you get the flu or bronchitis and before you know it you have P-newmonia and if you are old then you die. People who break hips often die from the big “P”. I worked for the Feds for about 20 years and get credit for almost 30. The pension is small but the medical plans I can get are the only good thing. I get Mail Handlers Insurance and it costs me about $360 a month for me and my wife. She has ChampVA, but for how long? The reason I keep the federal retiree insurance is because if I drop coverage on her and I die she cannot get it back even though she would get the sorry FERS pension. I don’t trust any institutions anymore so I have redundancy in most areas. What if for some reason I get reduced from TDIU? I see it could happen because someone is going to have to pay for those tax cuts. If the top 5% pay most of the tax and they get huge tax cuts who will pay for Medicare, federal pensions, SSA, Medicade and VA compensation and NSC pensions. I pay taxes including estimated quarterly tax. The tax system favors the rich investors so much I would puke except it favors me as well because I am an investor. If you can’t beat the thieves and crooks on Wall Street then you have to join them. The fact they were even whispering about cutting 401-K plans shows you where some of these SOB’s heads are at since most don’t even have regular pensions anymore. This is slightly off the subject of Medicare enrollment but if some in congress had their way there would be no Medicare. It has only existed since LBJ ( lying SOB that he was). I think you are fortunate and wise to have redundancy in your affairs–and wise to distrust too. Admire your planning for your wife too! Medicare–well, the private insurers are making good money on the Medicare Advantage Plans. And probably Part D. They don’t want to see Medicare go away. I used to think that the insurers had only the GOP on their payroll but now we know that the Dems are too. And there are many “non-profit” hospitals who are making millions but giving very little free care. Meanwhile, the towns and cities are deprived of tax revenues but must provide public works services. Some sanity is needed everywhere in these lands of greed, usury, and so forth. Why aren’t you getting your meds from the VA? My husband does and I’m very grateful. Since I didn’t serve, I have to jump through the hoops. But remember, many vets are denied VA health care enrollment (unfairly) because of the low income limits. So they have to still buy RX coverage from someone. Reform is needed so all veterans can get their meds from the VA. Thanks for asking. Not exactly a program that’s about to expire. Wow! That’s an impressive improvement. I wonder how long it will take for the VA to get it. My brother had shingles in his eye a number of years ago and it lasted for a long time. Thank you for posting that. This will save some people a lot of agony. ASK NOD - The Book, Just Released ! HADIT.COM RADIO SHOW–THE AMA–A MOBIUS LOOP?